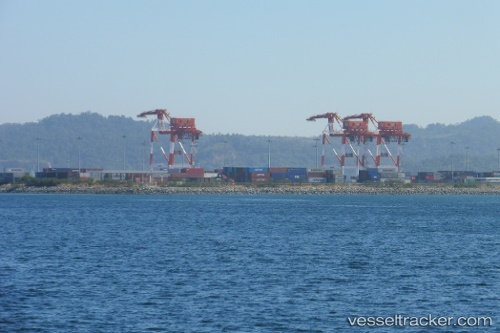 Some P135.8 million worth of infrastructure projects designed to expand and further develop port facilities here will bring in bigger ships and boost the income of the Port of Subic upon their completion by next year. Subic Bay Metropolitan Authority (SBMA) Administrator Wilma T. Eisma said both the national government and the Subic agency have allocated funds for the port projects bundled in three development packages. Eisma said these are major infrastructure projects that would significantly develop the Port of Subic to provide better services to port users, rein in more shipping lines, and increase port revenue. “From merely a handful just a few years back, the number of commercial shipping lines regularly visiting Subic has now reached 23—and these do not include the growing number of cruise ships docking in Subic and bringing in tourists,” Eisma said. “With the completion of these three port projects by next year, we expect to see more attractive and more efficient port facilities, more customers coming in, and more income for the port,” she added. The SBMA Seaport Department said the Subic port generated P1.17 billion in 2017, 3.27 percent higher than the P1.13 billion collected in 2016. Among the shipping lines that regularly call on Subic are APL, Maersk Line, Evergreen Line, K Line, Wan Hai and NYK Fil-Japan Shipping Corp. The container terminals managed and operated by International Container Terminal Services, Inc. (ICTSI) at the Subic Bay Freeport are ready to facilitate trade between Korea, Taiwan and the Philippines with Evergreen Marine Corp. launching a new direct service at key ports of the three trading economies. Evergreen, Taiwan’s largest shipping company, is launching its Korea-Taiwan-Philippines (KTP) service in Subic, adding the ICTSI-operated New Container Terminals 1 and 2 to its port rotation. The inclusion of Subic in the rotation is expected to boost the growing markets in northern and central Luzon, which stand to benefit from the direct trade link to Korea and Taiwan. Aside from exports and imports, the service also offers transshipment for overseas cargo. The KTP weekly service follows the following port rotation: Incheon and Kwangyang, South Korea; Kaohsiung, Taiwan; Batangas, Manila, and Subic, Philippines; and back to Kaohsiung. The first Evergreen vessel under the KTP service is scheduled to make its maiden call to Subic on 19 April.